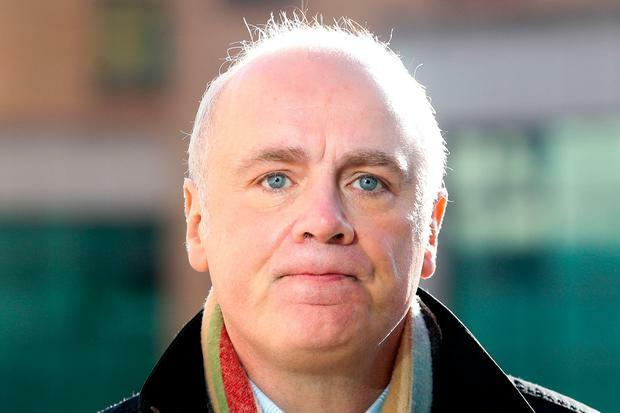 THE jury in the trial of former Anglo Irish Bank CEO David Drumm has been sent home for the weekend after hearing that one of its members remains "indisposed" for a second day. The jury had been sent out to begin considering verdicts on Tuesday but deliberations were interrupted yesterday when the juror was unable to come to court. Today, Judge Karen O'Connor told the remaining 11 members that the absent juror had been contacted and would be here next Tuesday. She told them to return then. Today was to have been the jury’s third day of deliberations in the 17-week trial, among the longest in the history of the State. The jury has so far spent three hours and nine minutes considering verdicts. Mr Drumm (51) has pleaded not guilty to conspiring to defraud by dishonestly creating the impression that Anglo's customer deposits were €7.2bn larger than they really were in September 2008. He is alleged to have conspired with Anglo’s former Finance Director Willie McAteer and head of Capital Markets John Bowe, as well as Irish Life and Permanent’s then-CEO, Denis Casey, and others. The Dublin Circuit Criminal Court case centres on a series of interbank deposits which circulated between Anglo and ILP during the financial crisis. The transfers were routed through Irish Life Assurance (ILA), returning to Anglo where they were then treated as customer deposits, which are a better indicator of a bank’s health. Mr Drumm also denies false accounting, by providing misleading information to the market. This afternoon, Judge O'Connor said that unfortunately, one of the jurors was still indisposed but had been in contact with the Courts Service and would be here on Tuesday morning. It was "most unfortunate" but this "can happen during a trial," she said. She said the trial was at a "critical stage" as they had started their deliberations and she reminded them of previous warnings she had given them not to read anything about the case over the weekend. When they retired to begin deliberations, Judge O’Connor told the three women and nine men of the jury they must consider each charge separately and their verdicts must be unanimous. An enlarged jury of 15 had been empanelled at the start of the trial due to its length and the potential for drop-outs, and 14 remained by the end. However, only 12 can consider a verdict and they were selected randomly, with two sent home. Earlier in the week, the jurors returned to the court to have one call - between Mr Drumm and Mr Bowe - replayed. They have also been given transcripts of all the taped 2008 phone calls heard during the trial.